Dr. Tanyeri USLU 1981 İstanbul doğumludur. 2004 yılında Yeditepe Üniversitesi İngilizce İktisat Bölümün’den mezun olmuştur. Mezuniyetini takip eden yıllarda Marmara Üniversitesi İngilizce Öğretmenliği ve Pedagojik formasyon, 2009 yılında State University of New York Maritime College’da Küresel İşletme ve Yönetim Anabilim Dalında Uluslararası Taşımacılık Yönetimi Yüksek Lisans programlarını tamamlamıştır. İş hayatına üniversite yıllarında, Türkiye’de düzenlenen uluslararası diplomatik toplantılarda Kenya Ekonomi Bakanı Peter Ochieng Odoyo ve Güney Kore Başbakanı Han Duck-soo’ya üst düzey asistanlık, kültürel rehberlik ve tercümanlık yapmıştır. Mezuniyetini takiben yeminli mali müşavirlik ve denetim firmasında çalışmıştır. 2006-2008 yılları arasında New York Büyükelçiliği’nde iş hayatına devam etmiş yine Birleşik Devletler’de New York ve New Jersey eyaletlerinde uluslararası taşımacılık yapan bir firmada operasyon sorumlusu olarak çalıştıktan sonra perakende sektöründe üst düzey yönetici olarak çalışmıştır. 2013-2014 yıllarında Tedarik Zinciri ve Lojistik Yönetimi adlı 3 yazarlı kitabı yayımlanmıştır. Uluslararası kongrelere katıldığı çalışmaları ve akademik yayınları mevcuttur. 2010-2017 yılları arasında Yeditepe Üniversitesi’nde çeşitli dersler vermiştir. 2018 yılında Gebze Teknik Üniversitesi İşletme Doktora programını tamamlayarak Dr. ünvanını almaya hak kazanmıştır. Su anda İstanbul’da Dr. Öğretim Üyesi olarak görev yapmakta ve akademik hayatına devam etmektedir. Beş yaşından bu yana sporla hep iç içe olmuş ve uzun yıllar profesyonel spor yapmıştır. 2014 yılından beri Tirendaz Okçuluk grubunda faaliyetlerine devam etmektedir. The effective factors of traditional archers’ bow brand preferences were tried to explain for present study. According to that, the aim of this study is to compare and determine the effective factors of traditional archers’ bow brands preferences from the multicultural perspective. In depth-interviews and focus group studies were conducted with senior and experienced traditional archers from different countries in order to collect the data. Content analysis technique was used to analyze the data and the proposed model was created accordingly. Traditional archers from Turkey and some European countries were participated to the research. According to the results of the analysis; perceived price of brand, customer relationships, product characteristics, and product availability were found as determiners of traditional archers’ bow brand preferences. From ancient times to the use of guns, the bow was a very significant hunting tool and weapon of battle field around the world. It is used by almost all cultures and is often mentioned as one of the most important inventions. 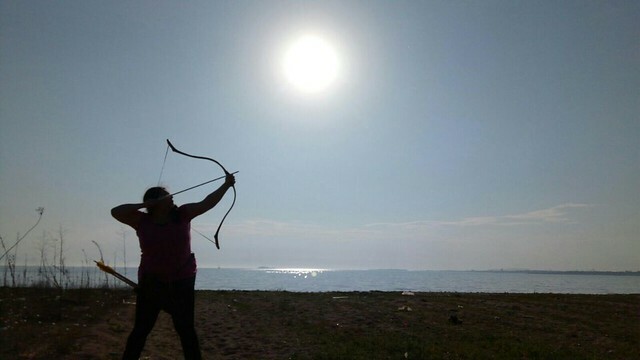 The significance of bow and arrow has been subjected to many archery traditions and its practices until today, as well as many written and oral histories, artistic representations, literature, and folklore. Even though the use of bow and arrow for military and hunting activities declined after the invention of guns, archery has remained as a sport in many countries (Grayson, French and J. O’Brien, 2007). Many organizations were established to support archery activities. In the nineteenth and twentieth century, the Western traditions of recreational archery were developed to the modern sport of archery (Klopsteg, 2004). It is mainly a competitive sport and recreational activity. Both modern and traditional archery are practiced worldwide today among many countries. Traditional archery has become widespread today. For the competitions, having a decent bow has gained importance. Therefore, necessity of differentiation and branding has become an obligation for bow makers to survive in this competitive era. According to that, the main purpose of this study is to find out traditional archers’ bow brand preferences. The concept of brand loyalty states that a consumer chooses a brand among the other brands and does not replace with another (Kotler and Keller, 2003). Product image is the component which plays an important role in the brand preference and that image is based on consumer’s awareness and the related information about brands (Kwok, Uncles and Huang, 2006). In this study, it is planned to find out traditional archers’ bow brand preference and its effective factors. According to that, this study tries to find answer for the question: “How perceived price of brand, customer relationship management, product characteristics and product availability effect traditional archers’ bow brand preferences?” For that purpose, in-depth interviews and focus group studies were conducted with traditional archers in some of the European countries and Turkey. Perceived price can be described as “the customer’s judgment about a service’s or product’s average price in comparison to its competitors” (Chen, Gupta, and Rom, 1994). The concept of perceived price is based on the nature of the competitive-oriented pricing approach. This approach focuses on customers’ concerns about whether they are being charged more than or about the same as charged by competitors. Ruyter, Bloemer, and Peeters, (1997) found that increases in service quality levels lead to an increase in satisfaction level, and pointed out that low perceived quality may also result in high service satisfaction. They also stated that customers may not necessarily buy the highest level of quality service. That is, price, convenience, and availability may increase customer satisfaction without actually influencing customer perceptions of service or product quality. The idea of creating a relationship with customers based on quality, relationship, innovation, and learning is regarded as a more sustainable strategy and can be seen as largely inimitable by competitors in essence, a strategy that could create a long-term competitive advantage (Grönroos, 2000; Payne, 2000). Customer Relationship Management (CRM) has proven to be a critical tool in increasing a firm’s profitability by enabling it to identify the best customers and satisfy their needs, in order to make them remain loyal to the firm’s activities (Thomas and Sullivan, 2005). The purpose of CRM implementation is that it should considerably enhance firm performance, a quality of any marketing activity (Lehmann, 2004; Rust et al., 2004; Krasnikov et al., 2009). According to that, pursuing long-term relationships with customers is more profitable for brands (Morgan and Hunt, 1994; Jayachandran et al., 2005). The relationship between technical and physiological product characteristics and consumer quality perception has been formalized in (Hauser and Clausing, 1993), which has the aim of facilitating market-oriented product development. The relationship between physiological product characteristics and consumer quality perception is at the heart of market-oriented product development: In order to design products which will be accepted by consumers, it is necessary to translate consumer demands into product specifications that are actionable from the producer’s point of view. A number of studies have found that product variety and uniqueness are two important factors that drive consumers to purchase a certain product (Sim and Koi, 2002). The critical influence of product availability on consumer demand has been analyzed by previous literature (Bronnenberg, Mahajan, and Vanhonacker 2000; Bruno and Vilcassim 2008; Pancras 2011). Farris, Olver, and De Kluyver (1989) note that small stores tend to stock only popular or large-market-share brands, and given the limited choice set in such stores, consumers are often willing to compromise their purchase decisions by switching to an available brand. (Reibstein and Farris 1995). 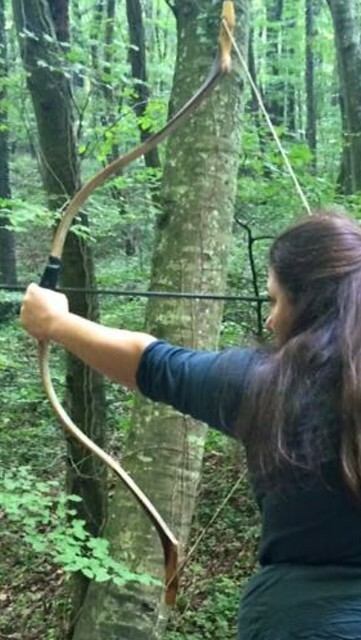 The aim of this research is to find out the effective factors of traditional archer’s bow brand preferences. In-depth interviews were conducted with ten senior archers from European countries, eighteen experienced archers from Turkey. It is suggested that focus group studies should have at least six participants in a one group (Onwuegbuzie and Leech, 2007). Three focus group studies were also conducted with eighteen experienced archers to compare and determine the effective factors of traditional archers’ bow brand preferences. As an important contribution, qualitative research enables to explore the meaning of phenomena and to reach a better and deeper understanding of real-life behavior (Cornish, 2012). Furthermore, in-depth interviews enable to scrutinize the subconscious perceptions of respondents. The archers were chosen from different European countries in order to have a various sample for this research. In the study, six of the archers’ out of twenty-five are concentrated on horseback archery, rest of them are concentrated on flight shooting archery, target archery, and bow-hunting. The participants were acquainted with the research topic. During in-depth interviews, participants were not directed specifically by researchers to bring out their brand preferences. In-depth interviews lasted for each participant approximately one hour, and focus group studies lasted approximately two hours. According to Harris (2001), content analysis method is used to analyze the interviews that identifies the research questions and constructs, examines chosen texts to specify unit of analysis to classify the responds based on their themes, and generates coding scheme or coding rules respectively. According to that, the proposed conceptual model of the study is shown in Figure 1 based on the content analyses. It is also shown in Table1. The following questions regarding to the archers’ bow brand preferences were as such “Is there any bow brand and model do you mostly desire to use?”, and “Is there any bow brand and model that you would never give up?” One of the over-twenty-years experienced horseback archers from Europe says “I have used many different bows until having my own bow type which is Living Arrow Bow”. Keskin Bows as a domestic brand and Grózer Bows from Hungary as a foreign brand came in the first place as the most preferred choices of the participants from Turkey. The other recognized bow brands were Şimşek Bows and Yıldırım Bows from Turkey, Mariner Bows and Ali Bows from China, Saluki Bows from the USA, Végh Bows from Hungary, and Sylwester Styrczula Bows from Poland. It was not given a specific bow brand name by European archers they mostly prefer to use. However, two of the experienced archers from Europe stated their preferences as “I prefer Végh’s Turkish bow model both for flight shooting and target shooting disciplines”; “I prefer Végh’s Turkish bow model for flight shooting and I also prefer Végh’s Tatar and Hun bow models for target shooting disciplines. Similarly, one of the Turkish archers stated “I never give up Grózer’s Turkish base bow model”, and another Turkish archer says, “I never give up Laminated Crimean Tartar Bow of Grózer”. Additionally, one of the archers from Turkey described a bow for not to give up has the characteristics of easy to pull, fast, durable and small sized. Moreover, one archer states “I never give up Grózer’s bow because it has longer life; however I also never give up Keskin Bows because of their good customer relationships”. When it was asked for which factors affect archers’ bow preferences, the following answers were given by the participants: high service quality, fair pricing, standardization, draw length, draw weight, draw experience, price, material, accessibility, design, durability, performance, and being tested by experts. Finally, participants were asked to reply “What are the services they expect from a bow maker?” According to the answers; quality, customer service, English-speaking customer service representative, no warranty hassles, fair pricing, open info about their products, transparency, customization, sponsorship, and lifelong warranty (that doesn’t result from user faults) have found as determinants of the expected services. 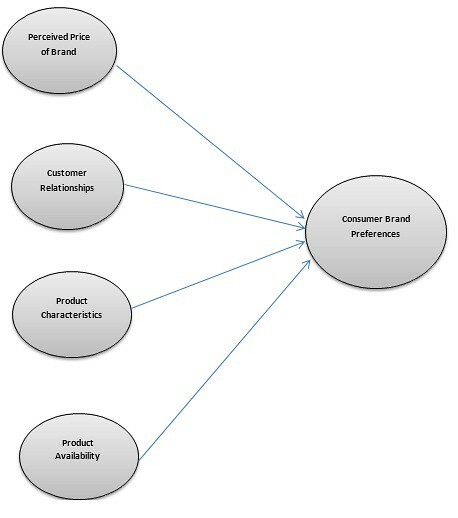 According to the content analysis results the determinants of brand preferences have shown in Table 1. Both European and Turkish archers from different disciplines have commonly given importance to perceived price of brand, customer relationships, product characteristics and product availability. European archers have chance to experience different bow brands and models because they can easily access reasonable priced bows. In addition, European archers reach both domestic and foreign producers easily. Another important finding is that it is an obligation for the bow makers to manage customer relations and build strong relations with customers so it delivers customer value. This is particularly an important finding because bow makers may embrace value from customers in the form of sales, profits, and customer loyalty for the brand in return. They also should understand the market place and archers’ needs. European Bow makers can sell their products by applying fixed exchange rates to certain countries regarding their fluctuations in currency exchange rates. This causes bows to be more accessible for the archers who desire to use their most preferred bows. When we look at the brands that Turkish participants mostly prefer to use, Keskin and Grózer bow brands come to forefront. This result may have come to exist because of the characteristics including accessibility, affordable price, after sales services, and successful customer relationships. Additionally, Turkish archers may have higher level of brand loyalty than European archers due to the lack of particularly outstanding bow brands. In the literature, there have been many studies which show various effective factors that have significant impact on consumers’ brand preferences, but this study shed light on traditional archers’ brand preferences in a multicultural perspective with a qualitative research. In the further study, this research will be extended and will lead to a deeply quantitative investigation of traditional archers’ brand preferences. Bloemer, J., & Ruyter, K. (1998). “On the Relationship Between Store Image, Store Satisfaction and Store Loyalty”. European Journal of Marketing, 32, 499-513. Bronnenberg, B. J., Mahajan, V., & Vanhonacker, W. R. (2000). The emergence of market structure in new repeat-purchase categories: The interplay of market share and retailer distribution. Journal of Marketing Research, 37(1), 16-31. Bruno, Hernan A. and Naufel J. Vilcassim (2008). “Structural Demand Estimation with Varying Product Availability”. Marketing Science, 27 (6), 1126–31. Chen, L. J., Gupta, A., & Rom, W. (1994). “A Study of Price and Quality in Service Operations”. International Journal of Service Industry Management, 5, 23-34. Cornish, L. S. (2012). “It’s Good For Me: It Has Added Fibre! An Exploration of the Role of Different Categories of Functional Foods in Consumer Diets”. Journal of Consumer Behaviour, 11(4), 292-302. De Ruyter, K., Bloemer, J., & Peeters, P. (1997). Merging service quality and service satisfaction. An empirical test of an integrative model. Journal of economic psychology, 18(4), 387-406. Farris, Paul, James Olver, and Cornelis de Kluyver (1989). “The Relationship Between Distribution and Market Share”. Marketing Science, 8 (2), 107–128. Grönroos, C. (2000). “Service Management and Marketing: A Customer Relationship Management Approach”. 2nd Edition, Wiley, Chichester. Hauser, J. R., & Clausing, D. (1993). “How Puritan-Bennett Used the house of quality”, Sloan Management Review, Vol.34, No.3. Harris, H. (2001). Content analysis of secondary data: A study of courage in managerial decision making. Journal of Business Ethics, 34(3-4), 191-208. Jayachandran, S., Sharma, S., Kaufman, P. and Raman, P. (2005). “The Role of Relational Information Processes and Technology Use in Customer Relationship Management”. Journal of Marketing, Vol. 69 No. 4, 177-92. Klopsteg P. E. (2004) Archery. Encyclopedia Britannica. www.britannica.com/eb/article- 9001641/archery (last accessed 28.08.2018). Kotler, P. and Keller, K.L. (2006). Marketing Management, 12th Ed. Pearson Prentice-Hall, Upper Saddle River, NJ. Krasnikov, A., Jayachandran, S. and Kumar, V. (2009). “The Impact of Customer RelationshipManagement Implementation on Cost and Profit Efficiencies: Evidence From the US Commercial Banking Industry”. Journal of Marketing, Vol. 73 No. 6. Kwok, S., Uncles, M., &Huang, Y. (2006). “Brand Preferences and Brand Choices Among Urban Chinese Consumers: An Investigation Of Country-Of-Origin Effects”. Asia Pacific Journal of Marketing And Logistics, 18(3), 163-172. Lehmann, D.R. (2004). “Metrics for Making Marketing Matter”. Journal of Marketing, Vol. 68, October, 73-75. Morgan, R.M. and Hunt, S.D. (1994). “The Commitment-Trust Theory of Relationship Marketing”. Journal of Marketing, Vol. 58 No. 3, 20-38. Onwuegbuzie, A. J., & Leech, N. L. (2007). A call for qualitative power analyses. Quality & Quantity, 41(1), 105-121. Pancras, Joseph (2011). “The Nested Consideration Model: Investigating Dynamic Store Consideration Sets and Store Competition”. European Journal of Operational Research, 214 (2), 340–347. Payne, A. (2000), “Relationship marketing: the U.K. perspective”, in Sheth, J.N. and Parvatiyar, A. (Eds), Handbook of RelationshipMarketing, Sage Publications,ThousandOaks,CA, 39-67. Reibstein, David J. and Paul W. Farris (1995). “Market Share and Distribution: A Generalization, a Speculation, and Some Implications”. Marketing Science, 14 (3), 190–202. Rust, R.T., Lemon, K.N. and Zeithaml, V.A. (2004). “Return on Marketing: Using Customer Equity to Focus Marketing Strategy”. Journal of Marketing, Vol. 68 No. 1, 109-27. Sim, L. L., & Koi, S. M. (2002). “Singapore’s Internet Shoppers and Their Impact on Traditional Shopping Patterns”. Journal of Retailing and Consumer Services, 9(2), 115-124. Thomas, J.S. and Sullivan, U.Y. (2005). “Managing Marketing Communications with Multichannel Customers”. Journal of Marketing, Vol. 69 No. 4, 239-51.